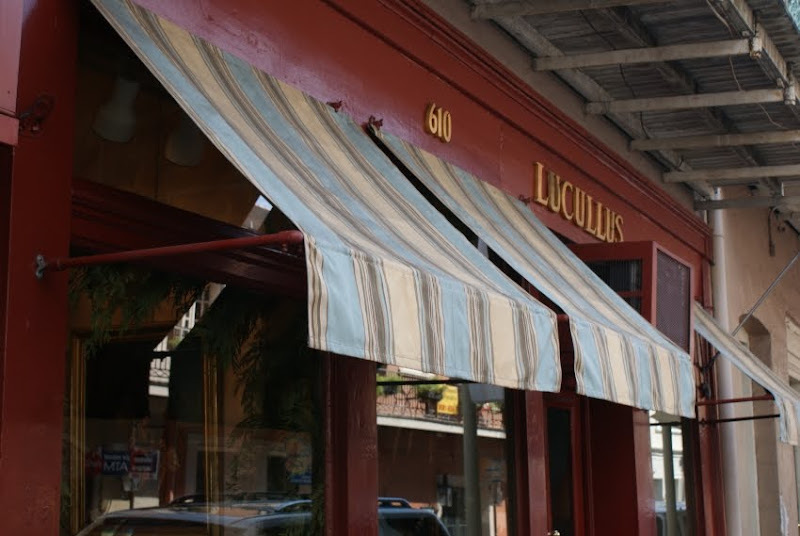 Patrick Dunne is the owner and proprietor of Lucallus, a culinary antiques shop in New Orleans, as well as Breaux Bridge, Louisiana. Although I have yet to visit his shop, I'm still very much inspired by his love of epicurean old things and also his philosophy. He writes with great intelligence and wit about history, antiques and all things culinary. 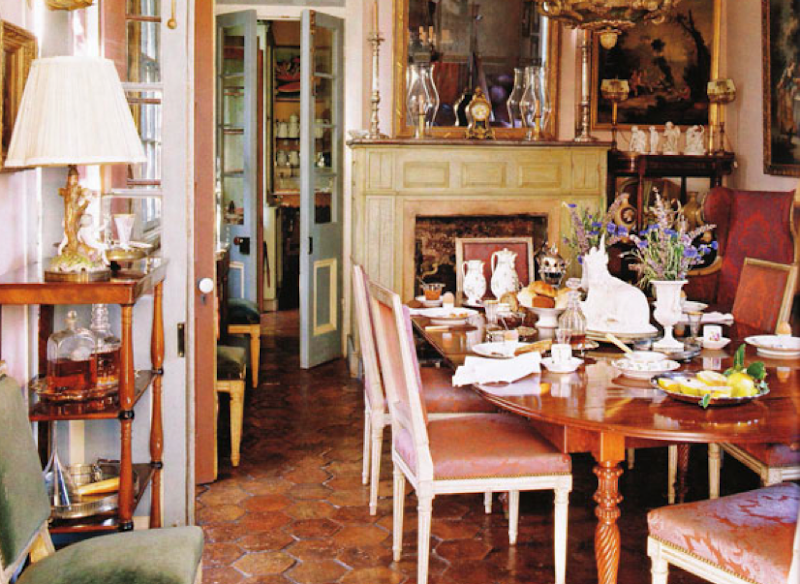 As an antique dealer, decorator and cultural analyst, Patrick Dunne has a lot to say about the art of fine dining and embracing objects from the past: "The dining table is the last retreat of the old values and more human scale of the past." 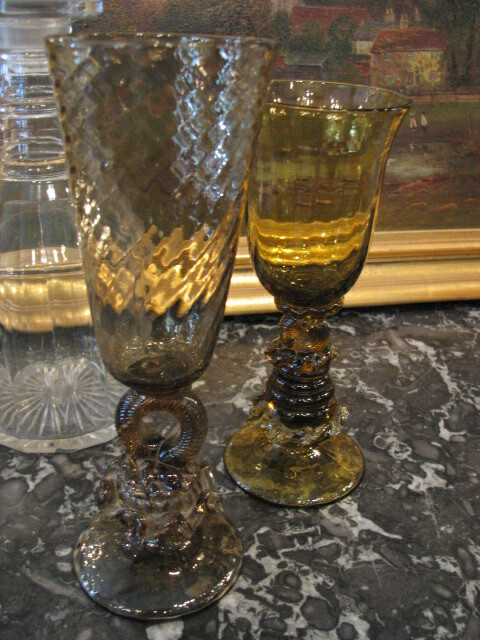 He also says this: "The use and reuse of old things can be functional as well as beautiful. People often think a kitchen has to be new and up to date, but food preparation is really an ancient process." 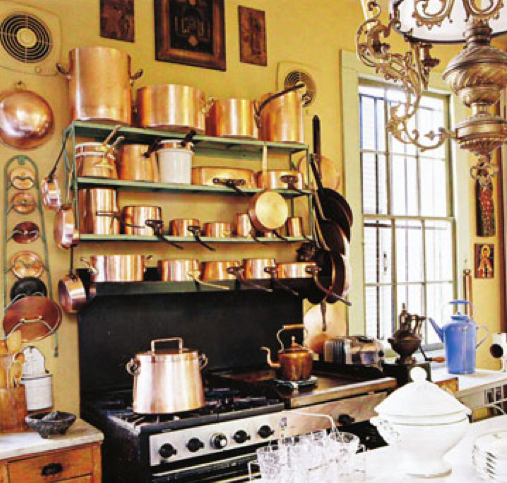 In his own kitchen are a collection of copper pots, which he uses daily. "I'm into using. I'm not much into display." 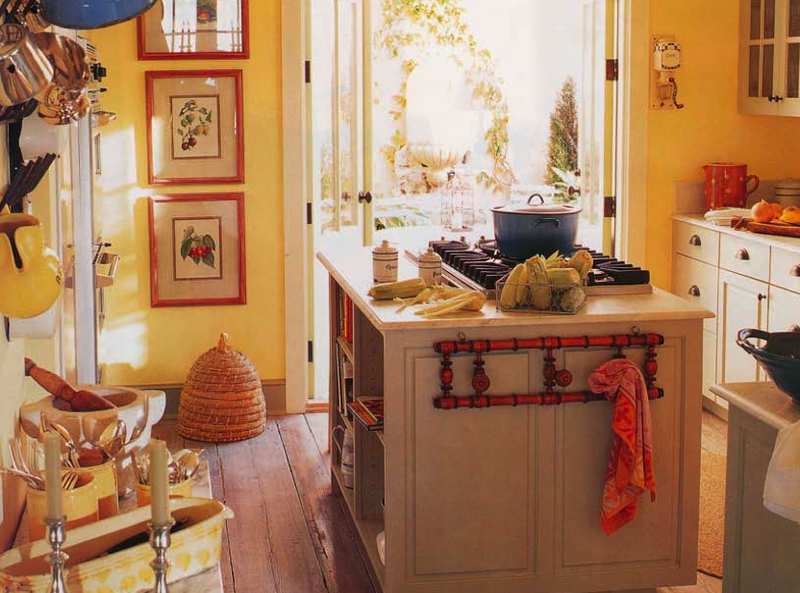 He designed this kitchen for a client who was looking to capture the light and color of Provence. 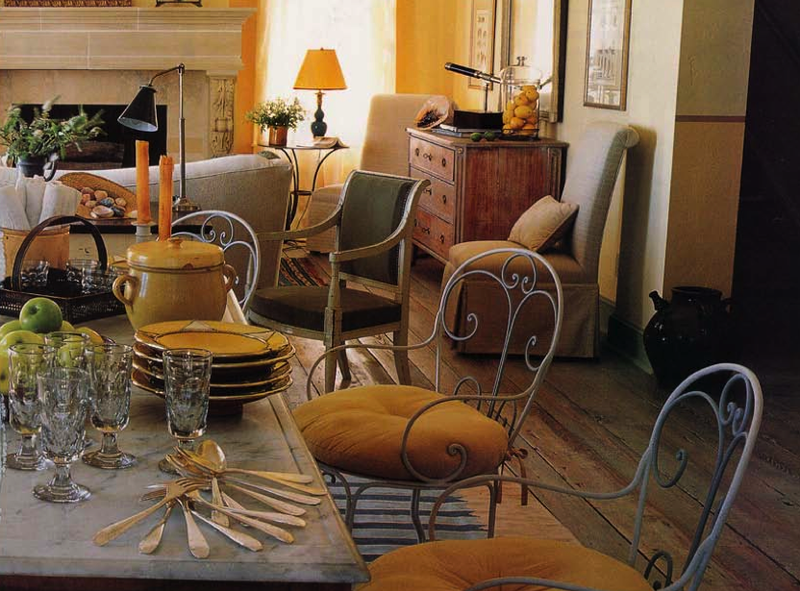 Because Mr. Dunne also owns a house in Lyon, France, he has a feel and intimate knowledge for Mediterranean style and is a genius when it comes to color. This is also where he scours the area for antiques to sell in his shops. 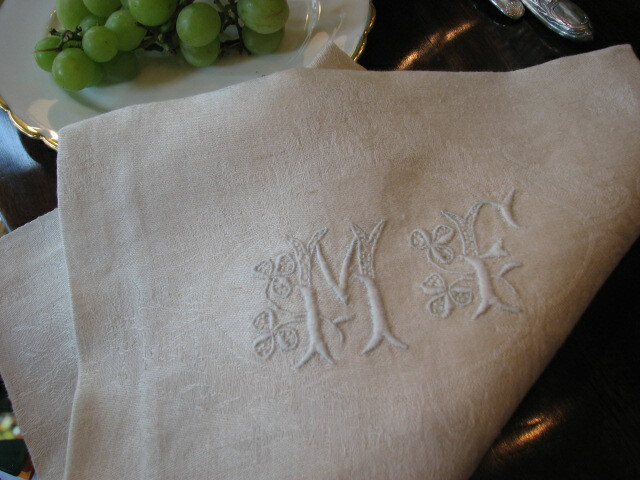 In his own dining room, the walls are painted a pale pink so as to flatter his guests. "I think that at the table there should always be a little drama, a touch of showmanship and lots of people." "The carnival spirit should always inform." Can you see why I'm so inspired? 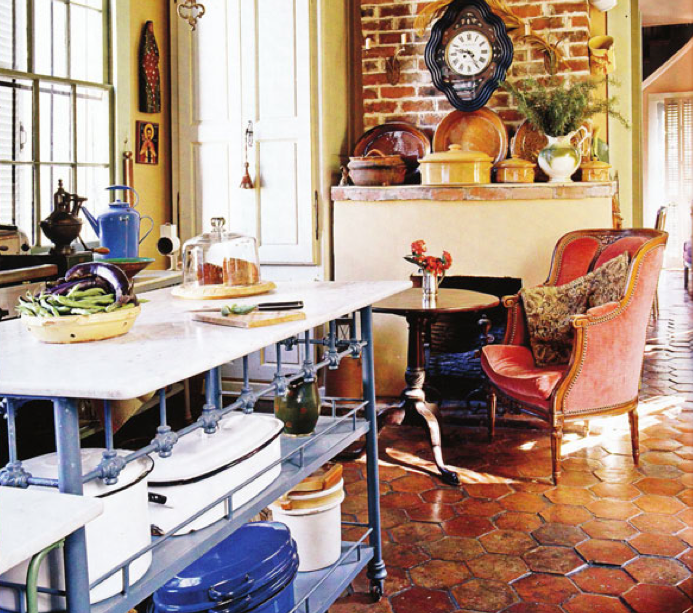 Oh how I would love to visit his shop for inspiration, come home and create a tablescape, a 'la Patrick Dunne style! 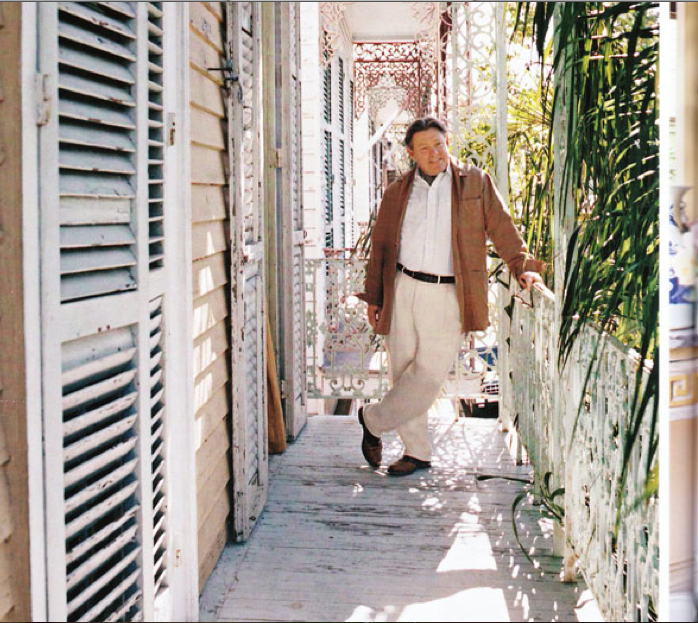 For now, I'll just have to be content with his book, The Epicurean Collector until I am able to visit New Orleans! You can order it here. "Like all history, the story of how we eat is really just another part of the long tale about being human, one necessarily full of vast communications and contradictions." Gorgeous. I would love to visit his store some day soon. You MUST go to his store. You will never, ever want to leave. 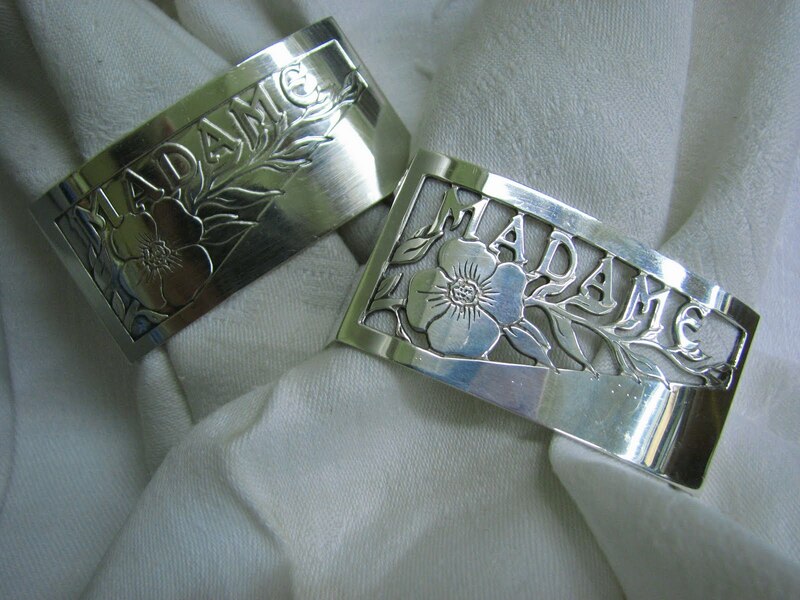 He gives the shop the same flair and style that he projects and all of his teasures are sooo special that you think that if you don't buy them NOW, you'll never see them again. Serious peril for me. Beautiful inspiration. I will have to check it out whenever I pass through LA again. I may just buy his book too. Thank you! Your blog is very inspiring. 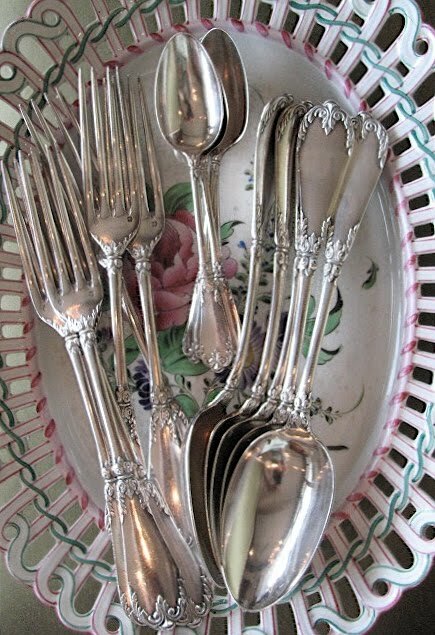 I love Mr. Dunne's style and how he uses the southern accents of silver and vintage things. Can't wait to see more of your great photos. I love New Orleans and I hope you get a chance to visit--soon! It's funny, but as I clicked on your post and started to scroll down, I hadn't even gotten to Mr. Dunne's legs and I was thinking....he's in New Orleans!! I have heard of this gentleman before, but didn't know about the book. Thank you. Love the floor...it is just like mine! Delores I have heard so many great things about Mr Dunne and his style. Thank you so much for sharing! By all means, the next time you are in New Orleans, do stop by his amazing shop (photos in my post). I hope you get as lucky as I was..if he is in residence, he will welcome you as an old friend. And the book is fabulous! 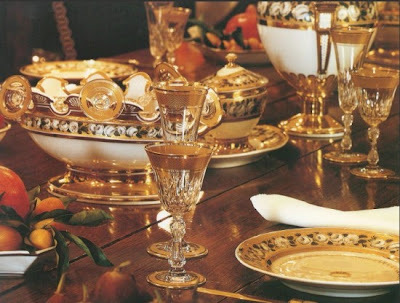 We are such huge fans of fine cuisine and never have had the opportunity to visit the culinary genous! He is now on our to do list! Love all the room especially the bees skep! Wow, what a great and most interesting post. I know of Patrick Dunne but have never visited his shop in NO nor do I have his book. I think I NEED his book ASAP. Visiting his shop is on my to do list the next time we are in NO. Thanks for such inspiring reading. Wonderful post!! I have long been fascinated by Lucallus and Mr. Dunne as well. I have, unfortunately, never been to New Orleans, but when I do go, his shop is definitely at the top of my list!! Wow this book looks like a winner! Definietly one I would love to get my hands on.....New Orleans is such an incredible and inspirational city and southern style is bar none! Hi, Delores, Another beautiful post. I looked at Mr. Dunne's website and he has lovely things. I want those Sheffield meat domes. I think I need a meat dome collection. Today's surprise: the package you received from France was meant for me and I just received yours. Talk about a small world. I will send yours to you tomorrow. Delores, I too, have long admired Mr. Dunne. What a wonderful post you have put up about him. Thank you. I'd never heard of him but now I love him! Thanks for the introduction!! I have actually visited his shop in Breaux Bridge several times. It's about a 30 minute drive from home. You would absolultely be in heaven. I've bought a few things from there. Thanks for reminding me...I need to revist...soon. What gorgeous pictures ... I'd love to visit his store, although I'm afraid I might not want to leave! Thanks for sharing! Great inspiration! Love the photos!! 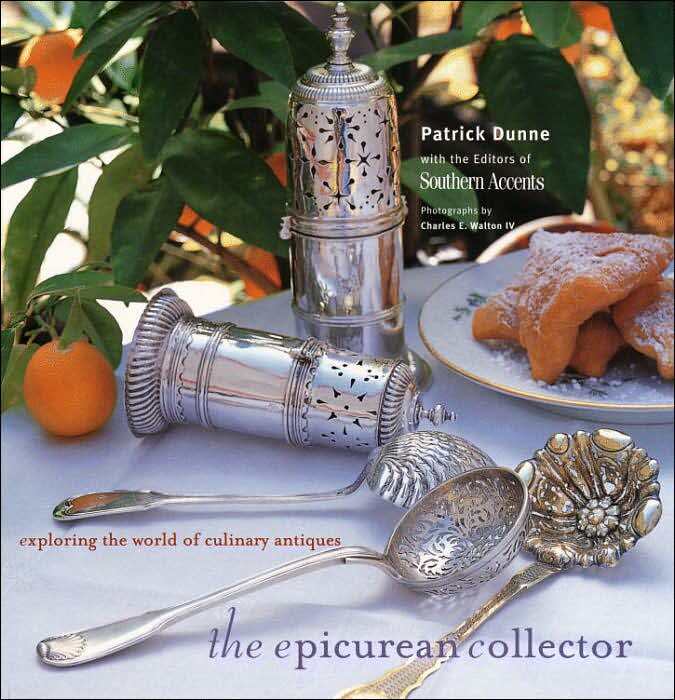 That is the cover of The Epicurian Collector! I ordered the book right away, no wonder I held on to that picture for so long. Thanks for bringing this to my attention! What beautiful stuff. Thanks for sharing.